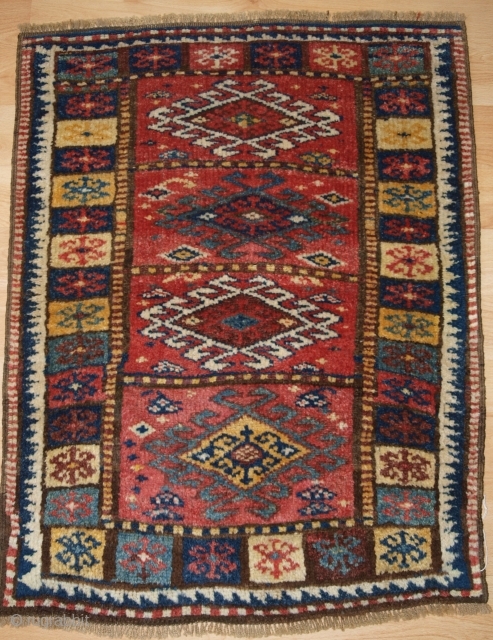 Antique North West Persian Kurdish yastik with excellent colour and traditional design. www.knightsantiques.co.uk Size: 2ft 11in x 2ft 3in (90 x 69cm). Circa 1900. 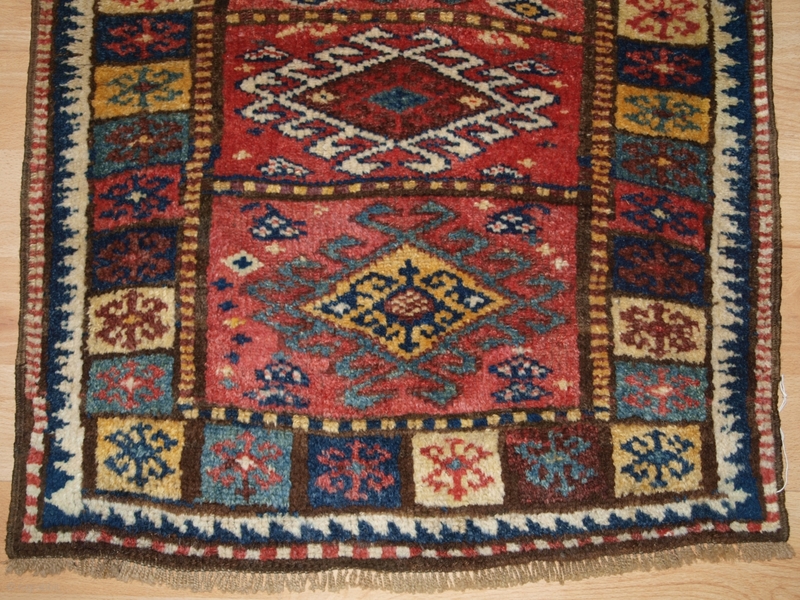 Yastik are small piled rugs that were used as pillows or back rests. The yastik is well drawn with good colour including a soft yellow. The border design is of particular interest. 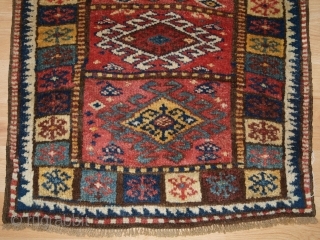 The yastik is in good condition with slight even wear and good pile, The wool is soft and the bag face has a floppy handle. The yastik has been hand washed and is ready for display. Stock Number: r-1598.